Add all spices to a bowl. Rub on your favorite piece of meat. Enjoy! You can switch out the smoked salt for sea salt. 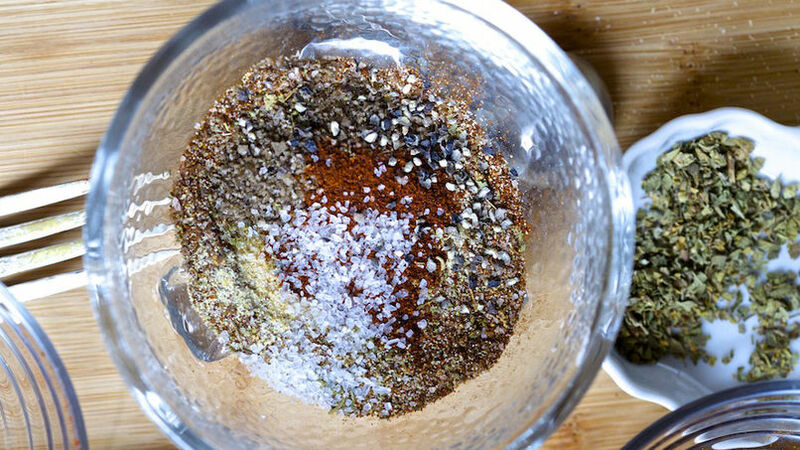 A spicy dry rub is basically a fusion of different spices to rub on meat before you grill it to give it flavor. A lot of people buy it pre-made but I like to just grab the spices I happen to have in the cabinet that day and see what happens. Just the way my grandpa did it! Actually, there are one or two rubs that I make on a pretty consistent basis. This recipe happens to be one of my favorites that I make for the boys in my little family. Give it a try!